Climb Against The Odds Update! The annual BCF "Climb Against The Odds" is coming up in June, and I'll be guiding it once again! 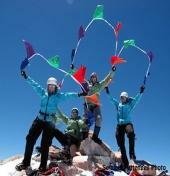 This event is for men and women who come to climb Mt. Shasta as survivors of the disease, or who climb in honor of a loved one. For the last 8 years I have had the privilege of guiding this climb and helping raise money for this worthy cause. In the past I have donated part of my wages to the BCF, and in recent years I have begun fundraising efforts. This year my goal is to raise $2000. 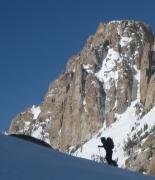 Avalanche Courses & Backcountry Ski guiding options in Feb & March ! !